Obesity is at epidemic levels worldwide. In the U.S. alone, it is estimated that by 2018 the cost of treating weight-related illnesses will double to almost $350 billion a year. A 2010 report by the U.S. Surgeon General estimates that two-thirds of American adults and almost one in three children are now overweight or obese. Similar statistics emphasize the staggering problem in other industrialized countries. This volume originated in a special 2009 symposium funded in part by a grant from the Eunice Kennedy Shriver National Institute of Child Health and Development (NICHD) and sponsorship from Mars-Waltham© on how human-animal interaction may help fight obesity across the lifespan. It provides systematic presentation of the scientific evidence for this powerful expression of the benefits of the human-animal bond. 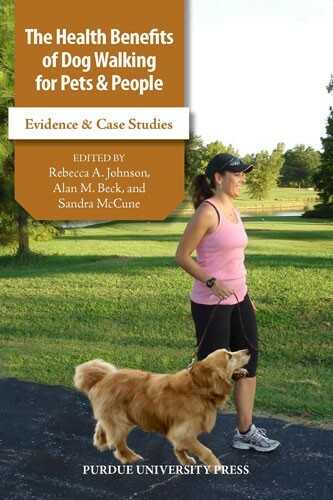 The volume will be especially valuable as a sourcebook of evidence-based studies for public health professionals treating overweight humans and veterinarians treating obese dogs. Rebecca Johnson PhD, RN, FAAN, is Millsap Professor for Gerontological Nursing and Public Policy at the University of Missouri. She holds a joint appointment at the College of Veterinary Medicine as the Director of the Research Center for Human Animal Interaction (visit www.rechai.missouri.edu). Author of over 40 publications, she is called upon nationally and internationally to speak about human-animal interaction. In 2010 she was elected President of the International Association of Human Animal Interaction Organizations. Dr. Sandra McCune leads the WALTHAM© research program on Human-Animal Interaction at the WALTHAM© Centre for Pet Nutrition in Leicestershire, England. She manages a large global portfolio of research projects across many aspects of human-animal interaction.